While the WannaCry ransomware infection demanded $300 and gathered around $150 thousand dollars in total, the creators of Erebus ransomware have gotten away with $1 million dollars after infecting a server of the South Korea company NAYANA, which is a web hosting provider. The company did not have a choice but to pay the ransom, because their Linux servers were affected by a new version of the virus, coded specifically for web servers. On June 12, the company NAYANA, based in South Korea has shared information that they are being extorted for the insane amount of 550 BTC (Bitcoin). This sum equaled to around $1.6 million dollars at the time of the attack. Fortunately, the ransom was up for negotiation and since time was pressuring NAYANA, they managed to negotiate the ransom price and payed a total of two payments equaling to $1.01 million dollars. After the payment has completed, the company was sent the so called “Erebus Decryptor” which allowed them to begin restoring their files. 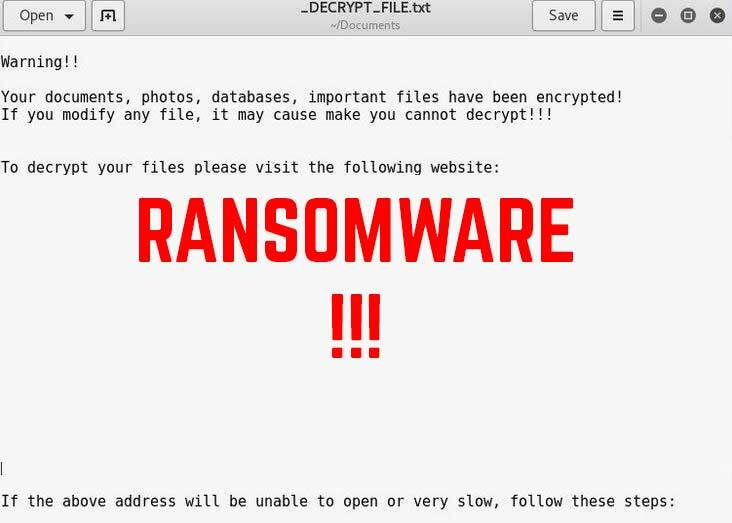 Despite paying the ransom, the company is still experiencing issues with some of the encrypted files for which they are likely to make a third payment in the future. Your documents, photos, databases, important files have been encrypted! If you modify any file, it may cause make you cannot decrypt!!!! 2.After successful installation, run the browser, waiting to initialize. According to experts(http://blog.trendmicro.com/trendlabs-security-intelligence/erebus-resurfaces-as-linux-ransomware/), the attack vector used some specially designed Linux exploits. Since NAYANA’s site is Linux kernel-based, the attackers may have done their homework. This means that they may have discovered a security flaw which grants them administrative access which can in it’s turn give them the ability to install the recoded Erebus ransomware on the servers. Another vulnerabilities which the attackers may have taken advantage of are Apache vulnerabilities. The servers of NAYANA were 1.3 version of Apache which is from the year 2006. And PHP exploits as well as Apache bugs are nothing new and unfamiliar in the underground web. What Happened When Erebus Ransomware Attacked? AES to encrypt the files and generate a unique decryption key. RSA-2048 bit to encrypt the AES key. RC4 to encrypt data of the files in 500k blocks, generating random key. The bottom line for this encryption is that it is possibly the strongest stable combination known in the public so far, if coded without flaws. 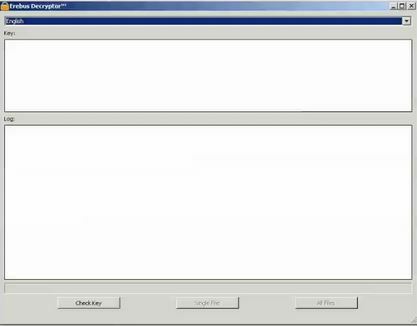 The virus was also configured to encrypt specific file types, to be specific – 433 different types. The version which attacked the South Korean hosting provider however, was configured to encrypt web servers and the data that is saved in them. This is why it targeted primarily the var/www/ directory, log files and other data. Experts warn of more attacks against organization to be coming by the late summer of 2017 and they strongly suggest taking the appropriate measures to secure web servers and to monitor them and conduct inspections often. Threats such as Erebus may be persistent. They tend to re-appear if not fully deleted. A malware removal tool like Combo Cleaner will help you to remove malicious programs, saving you the time and the struggle of tracking down numerous malicious files. Threats such as Erebus may be persistent on your system. They tend to re-appear if not fully deleted. A malware removal tool like SpyHunter will help you to remove malicious programs, saving you the time and the struggle of tracking down numerous malicious files. Note! Your computer system may be affected by Erebus and other threats. SpyHunter is a powerful malware removal tool designed to help users with in-depth system security analysis, detection and removal of threats such as Erebus. 1. Install SpyHunter to scan for Erebus and remove them. 2. Scan with SpyHunter, Detect and Remove Erebus. Ransomware infections and Erebus aim to encrypt your files using an encryption algorithm which may be very difficult to decrypt. This is why we have suggested several alternative methods that may help you go around direct decryption and try to restore your files. Bear in mind that these methods may not be 100% effective but may also help you a little or a lot in different situations. Note! Your computer system may be affected by Erebus or other threats. Remove Erebus by cleaning your Browser and Registry. Fix registry entries created by Erebus on your PC. Combo Cleaner is a powerful malware removal tool designed to help users with in-depth system security analysis, detection and removal of threats such as Erebus. Step 5: In the Applications menu, look for any suspicious app or an app with a name, similar or identical to Erebus. If you find it, right-click on the app and select “Move to Trash”. Step 6: Select Accounts, after which click on the Login Items preference. Your Mac will then show you a list of items that start automatically when you log in. Look for any suspicious apps identical or similar to Erebus. Check the app you want to stop from running automatically and then select on the Minus (“–“) icon to hide it. Remove Erebus – related extensions from your Mac’s browsers. A pop-up window will appear asking for confirmation to uninstall the extension. Select ‘Uninstall’ again, and the Erebus will be removed. When you are facing problems on your Mac as a result of unwanted scripts and programs such as Erebus, the recommended way of eliminating the threat is by using an anti-malware program. Combo Cleaner offers advanced security features along with other modules that will improve your Mac’s security and protect it in the future. Hey !, I found this information for you: " Million Paid to Erebus Ransomware by South Korea Company NAYANA". Here is the website link: https://sensorstechforum.com/south-korea-company-pays-1-million-erebus-ransomware-wannacry/. Thank you.